Mother's Day is just around the corner, and if you have managed to score a table at your favorite restaurant for brunch-good for you! 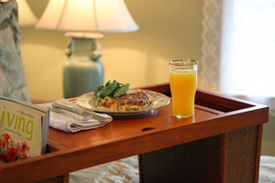 If not, you can make a delicious brunch at home, or treat mom to breakfast in bed. For this frittata, I suggest you pick up a bunch of beautiful purple-tipped asparagus from your local farmers market. It's peak season. While you're there, avail yourself of farm fresh eggs, too! Enjoy, and Happy Mother's Day. In a non-stick skillet, melt butter over medium heat. Add onions and sauté for 4-5 minutes until softened. Add asparagus and ham to skillet. Add a small pinch of salt (be careful-the ham is salty) and a couple grinds of pepper. Sauté for an additional 4-5 minutes, until the asparagus begins to soften*. Turn on broiler and set a rack 6-8 inches below the heat source. Beat eggs with cream, and add a pinch of salt and several grinds of fresh black pepper. Pour egg mixture over vegetables and ham. Sprinkle Gouda over top. Using a rubber spatula, pull the egg mixture away from the sides to ensure that the frittata will release from the skillet after cooking. 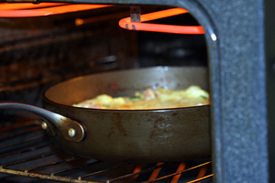 Cook until the frittata begins to set but is still uncooked in the middle-about 3-5 minutes. Place skillet under broiler to cook through and brown on top for 5-6 minutes. Keep the oven door cracked to check on the frittata often. To plate, place a large dish over the skillet. Carefully hold the dish against the skillet while turning the skillet over. 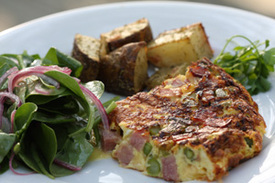 Cut frittata and carefully transfer each piece onto a serving plate, using a spatula. *At this point, I removed the skillet from the heat and sprayed the sides with Pam non-stick spray. Cook bacon in pan until crisp on each side. Remove bacon to drain on paper towels. Reserve 3 Tablespoons of bacon grease in pan, and turn heat down to the lowest setting. Add vinegar and scrape up brown bits on bottom of pan. Add sugar, salt and pepper to taste. 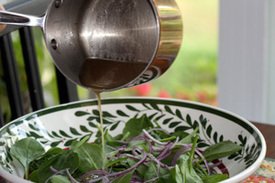 You can decide the balance of this sweet and sour dressing. Pour warm dressing over spinach and onions. Toss to coat evenly. Crumble bacon and toss over top of salad. Line a baking sheet with tin foil. Place potatoes on foil. Pour olive oil over potatoes. Sprinkle rosemary, salt and pepper. Toss with hands to coat evenly. Place potatoes on middle rack of oven. Bake for 25-30 minutes. Turn once during cooking. 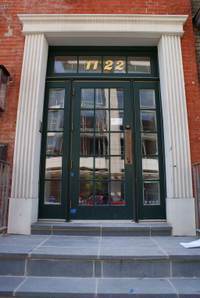 On Saturday afternoon, I stopped by the new Corduroy location, across the street from the D.C Convention Center at 1122 9th St. NW to take some pictures and Tom Powers happened to be there. I had a quick chat with him to see how the construction was progressing, and from the pictures below, there is still a little work to do. Assuming all goes well, they should be reopening Thursday or Friday of this week (God willing). Only the first floor will be opening right away. The other thing you'll notice from the pictures is that the new space is a lot warmer and inviting than the old, dark space at the Four Points Hotel. The first floor will have a glass enclosed wine room, enough seating for 50 people, and an open view of the kitchen. 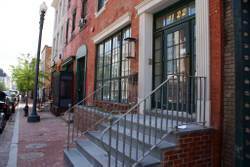 Soon after the downstairs opens this week, the upstairs will open with a bar and another dining room. There is still some work to be done, but it is also well lit with additional space for seating. When I asked Tom if he's been relaxing the last month or so while the construction has been taking place, his response was, "Definitely not. This has been one of the busiest times of my life." Here's hoping the new location was worth all the effort. I'm sure Tom and his crew will make the best of it. Heard around the D.C. Foodies blogosphere this week...New Haven style pizza lovers from all around D.C. have been waiting with bated breath for the opening of Pete's Apizza in Columbia Heights. Located next to the metro escalator on the corner of 14th and Irving, the 50-seat restaurant will serve wine, beer, panninis, soup, pasta and pizza. Pete's opens on Monday. You can get a look at Pete's on Flickr. Cupcakes-those palmfuls of cake and frosting and tempests in teapots are continuing to permeate the nation's capitol with the opening of another cupcake place. 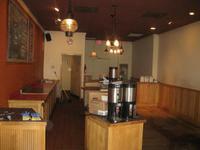 Hello Cupcake will be opening summer 2008, at 1351 Connecticut Ave., NW. With lines that form before opening outside of Georgetown Cupcake, D.C. appears to be a town of cupcake enthusiasts who are willing to shell out between $2-$3 a cupcake. Or are they? 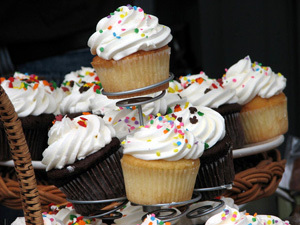 Recently, NBC's Liz Crenshaw did a cupcake taste test at Ballston Commons Mall. Cakelove, Betty Crocker homemade, Georgetown Cupcake, and Safeway cupcakes were compared. Georgetown Cupcake was the clear winner, with the rest being about equal in votes. When asked if they would buy their favorite cupcake for $2.77, or $2.44, most participants said no. Perhaps the difference between the $.20 homemade cupcake, and the upscale versions wasn't that great, after all. Penny-savers should also read last Wednesday's Wapo Food section. PS 7's chef, Peter Smith, took a Chef's Challenge to make a 3-course dinner for four for as cheap as possible. What he turned out with $11.22 worth of ingredients from his Safeway looked delicious-asparagus salad, pan stew with rosti and roasted apples. Earth Day was Tuesday, April 22nd, and while I enjoyed tasting the terroir at a Farm to Fork dinner held at Vermilion, Counter Intelligence posted Earth Friendly Eats, with suggestions on how to eat and drink green. 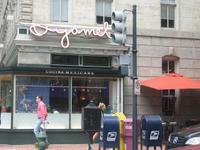 Finally, I wanted to give a shout out to another D.C. food blog which I discovered recently. The Bitten Word, blogged by Clay and Zach, contains recipes from all those food magazines which people like me have subscriptions to, and hardly ever use. 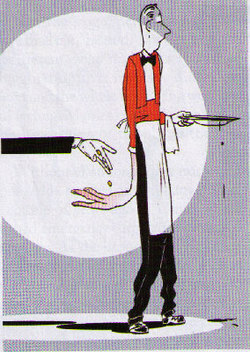 They cook from publications such as Food & Wine, Gourmet and Cooks Illustrated. Go for the recipes..and the temping photos. With the weather warming, the nights shortening and the flowers in bloom, a young man's fancy lightly turns to thoughts of beer. Yes, spring is here, and as such, so are your domestic brewers' annual summer releases. As odd as the previous statement may sound, take a look at your favorite bar's draught selection and see if this is not the case. Brewers are perennially ahead of the curve, with their Oktoberfest beers released in late August, winter beers before the Solstice, spring beers amidst the February frosts, and summer ales in early spring. Whatever the reason for the premature release, eager beer drinkers should presently rejoice, as most brewers' summer beers are some of the most eminently drinkable of the year! Though there are certainly several still in the pipes, many of the nation's finest summer beers have started appearing on shelves and tap lines. Here are my impressions of the this year's batch of early summer releases thus far. Relative newcomer to the DC area, Bell's brewery of Kalamazoo, MI, has made a giant splash in the last two years with its amazing collection of ales, stouts, and lagers. 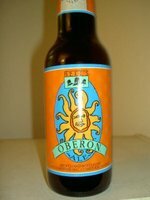 Though the whole line is almost invariably great, arguably the brand's most successful ale is its summer release, the Oberon. 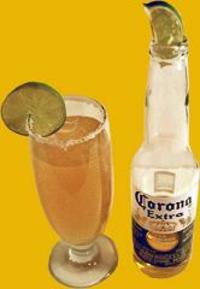 This American wheat ale is an opaque yellow-orange in color, with a good deal of foam to the head. The nose is all citrus and wheat, leading to a very full body flavored of cloves, orange, yeast, and a bit of hops, with a slight sweetness on the finish uncharacteristic of the brewery's typical offerings. This one is a crowd pleaser, and though it weighs in at a relatively hefty 5.8% abv, it is surprisingly easy to drink. In recognition of this brew's popularity, its release has been extended and may now be enjoyed clear through the month of October. 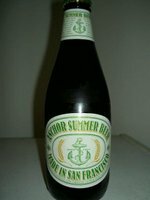 From one of America's first microbreweries comes the Anchor Summer, a crisp, filtered wheat ale, first produced in 1984. Where the Oberon is thick and orange, the Anchor is lucid and golden, with the nose a subtle combination of grainy citrus and loam. A slight limey/skunky character asserts itself on the palate, giving way to a surprisingly neutral mid palate and a bracing, almost off-putting dry finish. A bit of a disappointment given the brewery's amazingly flavorful steam lager, this beer is best served ice cold around the barbecue, and would likely be well replaced by a German or Czech Pilsener in this capacity. Based in Harrisburg, PA, Troegs, founded by brothers Chris and John Trogner in 1997, has been providing the greater Mid-Atlantic area with its unique line of ales and lagers for nearly a decade. 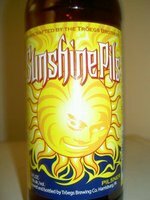 Troegs' addition to the summer beer pantheon is the uniquely labeled Sunshine Pils, a German style Pilsener made with a healthy dose of American hops. In appearance this beer is almost indiscernible from Miller Lite: pale straw yellow, with a very meager head. The nose gives the faintest whiff of dry hops and malt, with a slightly grassy note. The beer hits your front palate with a sharp hoppy note carried by firm carbonation, followed by a slightly green and floral finish. In spite of, or perhaps because of its watery, almost "light beer" body, I could see this beer as an ideal outdoor "session" drink for the newbie and beer dork alike. Though not nearly as interesting as some of the beers on this list the Sunshine is well made, and at 5.3% abv, accidentally plowing through a sixer by the pool won't leave you unfit for work the next day. Because there remains yet a good amount of Sam Adams' perpetually mediocre spring released White Ale still in distributor warehouses, this beer can't technically be called "on the market": that said, a few bars have seen fit to start pouring this summer classic just the same. Yet another American wheat ale, the Sam Summer is somewhere between the Oberon and Anchor in appearance: hazy, but not opaque, with a hue of yellow ocher. 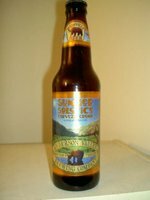 The nose makes evident the various spices used in the ale's brewing, delivering ample lemon with a bright peppery edge courtesy of the much touted "grains of paradise" used in its brewing. Bright fruit mingles with the spice on the palate, with a touch of hops bringing the whole affair into balance on the finish. The Sam Summer is a well done medium-bodied summer beer, and in my opinion, the best of Sam Adams' annual releases, year in, year out. Founded in northern California as a simple brewpub, Anderson Valley is now one of the nation's most widely distributed producers of handcrafted ales, each recognizable for its depiction of the infamous Boonville Beer. This all-malt cream ale pours a dense but clear dark reddish-brown with a full two-finger head. The nose is redolent of berries and orange with slightly malty overtones. On the palate this beer is almost pure Creamsicle: orange and vanilla mingle on a palate as smooth as silk. Combine this with a slightly honeyed but dry finish and you get one of the most decadent, yet drinkable, beers of the season. 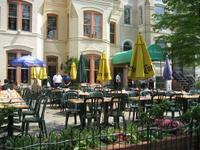 Like many people, DCFoodies.com has been following the situation surrounding Murky Coffee and its tax difficulties with some interest. And although we promised not to mention it again for at least a week, there are some times when we learn things that are just too good to keep to ourselves. Walking by Murky this afternoon, I noticed a panel truck parked outside and a pair of workers wheeling handcarts in and out of Murky's Eastern Market location at a steady pace. I walked up to the truck and took a look inside, where I saw much of what endeared Murky to coffee lovers (and aspiring novelists) - the espresso machine, a large refrigerator, assorted tables and chairs. As sad as I was to be witnessing this dismantling of a Sunday morning favorite, I had the presence of mind to introduce myself to the gentleman who appeared to be supervising the operation. I asked him a few questions, to try to learn what I could about the future of Murky's equipment and the location itself. Later on, when I came back to take some pictures, the truck was gone but an employee of the building was there and he helped to fill in some additional details. Despite the published opening bid price of $10,000, the Office of Tax and Revenue ended up selling the contents of Murky Coffee for $7,000. Included in this figure were the espresso machine, which retailed when new for more than $12,000, and a water purification system whose estimated cost was between $3,000 and $4,000. Thankfully, the equipment was purchased by a local man who plans to open The Big Chair, a coffee shop located near the famous landmark in Anacostia. 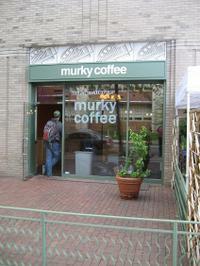 Of the more than 30 groups that have submitted proposals to occupy the space that will be vacated once Murky Coffee is formally evicted this month, the list has been winnowed to four contenders - and it sounds like most, if not all of them, are proposing new coffee shops. These bids are under consideration and a winner is likely to be selected shortly. 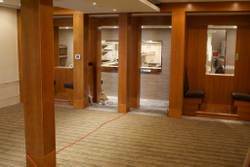 It is going to be more than a few months before a new shop is open for business, though. So what started out as a blow to small, local business has actually resulted in opportunities for two separate local businesses. I, for one, think it's great to see Murky's equipment going not only to someone who is eager to get started, but who is also going to be expanding the District's coffee culture into yet another neighborhood. And those of us who relied on Murky Coffee for our java fix on the way to work or after a trip to Eastern Market on the weekends will have to settle for Port City Java (a North Carolina-based chain with franchises in seven states, Costa Rica, Saudi Arabia and the District) or - gulp - one of the Big Boys (Dunkin' Donuts and Starbucks) who sit at either side of the entrance to Barracks Row on a direct sight-line from Murky's front door. Consider this an open letter from a disappointed cheese-lover to any and all restaurateurs, chefs, and managers who see fit to include a "Cheese Plate" or something similar on their menu. You may recall a post I wrote about the hit-or-miss nature of restaurants' cheese plates last year - let's just say recent experiences have helped me figure out what's wrong with the majority of what's out there. As someone who appreciates all things cheesy (80's music, Super Bowl ads, puns in blog entry titles), I would love to be able to sing your praises for going all-out in the introduction of cheese plates to your menus. It seems like almost every restaurant out there these days is offering a cheese plate, though they're not exactly sure why. Maybe it's the increased interest in artisanal cheeses and local producers. Maybe it's a calculated effort to reach out to diners who are passing on sweet desserts with increasing frequency. Or maybe it's just the fact that most of your competitors are doing it. I know what our mothers would ask...if all of your competitors jumped off the Brooklyn Bridge, would you? Of course you wouldn't - think of what that would do for business! Even so, there is a distinct air of groupthink - a curd mentality, if you will - that seems to be driving this trend. 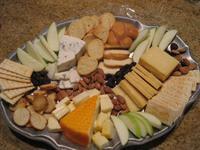 Restaurant cheese plates SHOULD be a great way to expand my palate and try new cheeses. But there are problems. And it's not me...it's you. Simply put, most restaurants either overlook or ignore the fact that the majority of people who are likely to purchase a cheese plate ACTUALLY KNOW SOMETHING ABOUT CHEESE. 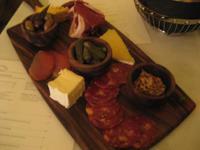 If you're going to offer a cheese plate on your menu, you need to know why you're doing it. Is it to highlight local producers? Is it because you are passionate about cheese and want to share that with your customers? Is it because your suppliers offer some great choices that go well with your menu? And be honest - if the answer is really "because it lends an air of class and has a high profit margin," own that. But do yourself a favor and think twice about it before you move forward...cheese lovers will know if you're just going through the motions. If you've asked yourself "why" and you're satisfied with your answer, the next step is to make sure you do things properly. Because I'm not one to complain without offering constructive suggestions, I've taken the liberty of putting together a short checklist that should help you show off your cheese plate to the greatest advantage. A great example of this can be found at McSorley's Old Ale House, New York's oldest continually operational saloon. This is a no-frills, sawdust-on-the-floor kind of tavern. Women weren't even welcome in McSorley's until 1970. Even so, their menu boasts a cheese plate that fits their image to a T: a plate with a few squares of all-American white cheese (it used to be Liedenkranz, a Limburger-like spreadable cheese), some sliced raw onions, a mug of spicy mustard and a sleeve of Saltine crackers. 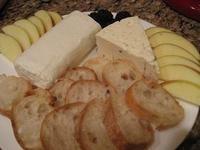 You were expecting maybe brie and apple chutney? If a cheese plate is going to set me back $12 or more, I'm not going to be impressed with a few hunks of cheese strewn haphazardly across a white plate with some crackers and grapes here and there. Pay as much attention to the plating as you would to the average entree or dessert - think about serving on marble slabs or walnut cutting boards that complement the color and texture of the cheese (both of which should be points of pride if you're serving quality products). And give a thought to the accompaniments you provide - while some, like quince paste, grapes and crackers, work well with almost any cheese, there are other options that show you really care: sliced apples or pears, dried fruit, toasted nuts, and tangy items like cornichons can complement certain types of cheese very well and reflect an attention to the specific cheeses on the plate. For some reason, the cheese plate remains the 'terra incognita' of most restaurants' menus. More often than not, the components are omitted from the menu and curious patrons are required to ask their servers for details. If you've settled on a static list of cheeses, it stands to reason that your servers should be familiar with what those cheeses are. Sadly, that's rarely the case. And in restaurants where the cheese plate changes on a regular basis, it's almost unheard of that a server be able to offer even an educated guess without heading back to the kitchen to ask.If you want cheese-lovers to seriously consider your cheese plate, this needs improvement. Local wine bars like Proof and Vinoteca are far better about communicating their cheese offerings (and, in the case of Vinoteca, their various accompaniments) on their menus, and there are some restaurants like Dino that take enough pride in their cheeses to list them for individual or grouped tastings. In the absence of that kind of detail, however, it is incumbent on your servers to be as familiar with what's on the cheese plate as they are with the components of other menu items. This may sound a bit daunting, but it's essential if you're going to convince people who care about cheese that yours is worth their time and money. Put yourself in the place of your customers. Take a look at the menu and ask yourself if you would have any interest in the cheese plate based solely on what you see in front of you. If you're a cheese lover, there's a pretty good chance you won't. So what are you going to do about that? If you can't draw the people for whom a cheese plate is a natural attraction, why offer one at all? If you keep these things in mind, you're sure to jump to the head of the class when it comes to local cheese plates. With the wide range of cheeses available through local sources, there are plenty of opportunities to put together the perfect plate to complement (and maybe even enhance) your menu and provide diners with a savory way to finish off a great meal. Heard around the DC Foodie blogosphere this week...Let's start with saying "hello" to a few local food bloggers that I discovered this week. Read about everything from dals to daubes at Post- Collegiate Cooking A Deux (Daily dinners with a little bit of early 20s existential ruminations thrown in.) This duo bonds over cooking, and share a penchant for our farmers markets. Next, Two Novice Chefs, One Tiny Kitchen features a married couple whose love for each other grows along with their love of cooking and baking. Tyler enjoys experimenting with ethnic food, and Julia is a budding baker. Be sure to check out their blogging from their tiny apartment kitchen. Warning: put a drool cloth over your keyboard before you peruse the photos! Deglazed follows the life and cooking of a former web designer turned professional chef. Chef Matt's story is truly inspirational, as he followed passion, not money, and took on the challenging and often harmful career of a chef eager to learn, create, and be inspired. On to print media-today's Washington Post Metro section has an article about distribution of Virginia wine. It tells about the experience of Lew Parker, owner of Willowcroft Farm Vineyards in Loudon County. Hailed as Virginia's new agricultural economy, vineyard owners hope to see more profits from a state-subsidized distribution company (Virginia Winery Distribution) designed to help small wine makers like Parker. In Wednesday's Washington Post Food section, area chefs dish about the rising cost of food, and the lowering average of customer bills. Chef and owner of Cashion's Eat Place, John Manolatos, estimates that the average check has decreased from $65 to $50 a person in the past year. 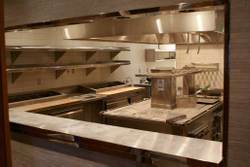 Chef R.J. Cooper (Vidalia) has a new expression, "Watch for waste". From chive tips to leftover butter buns, nothing goes unused. In the chatosphere, I got a good laugh this week while reading Washington Post food critic Tom Sietsema's Wednesday chat. One chatter wrote in about a mixed up check received at the end of a meal. 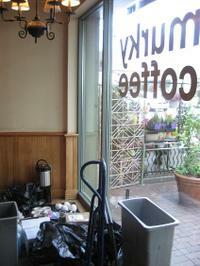 It turns out that the chatter got a lower bill, and mentioned it to the manager. The manager fixed the problem and gave the chatter the correct, and higher bill for the food that was ordered and eaten. The chatter, not satisfied that the right thing was done and karma points scored, thought that perhaps their "good deed" should have been rewarded, with say-a discount. The punch line? Another chatter quickly responded (paraphrasing) "Should a bank give me ten bucks if I go by and decide not to rob it?" Ah, sanity. I love it. Thank you, thank you. I'll be here all week. Don't forget to tip your servers. It seems that every year around this time, some critic or another says that pink wine's heyday has arrived. Well, alright, no critic ever says that, as in the wine world calling a spade a spade is not the modus operandi — in fact, pink wine is almost invariably referred to by the French moniker, rose, as if the French brings a certain class to the drink. (Pink wine is for hobos, rose is fit for Marie Antoinette!) Anyhow, every year I hear this proclamation and expect sales to skyrocket — and every year, I am just a little let down. Sure, the public is warming to it, but too many are still quite put out by the suggestion of a pink wine, whether for fear of ruining their meal on a lark or judgmental looks from friends and loved ones. This is a crying shame, as this much abused and misunderstood pale-redheaded stepchild of the wine world is quite varied in style and often an amazing pair at the table. 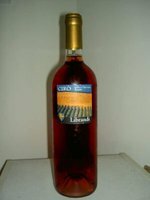 Though it looks like a blend of red and white wines, most proper pink wine, Champagne notwithstanding, is no such thing. It is better to think of pink wine as white wine made with red grapes — the major difference from white being that pink wines spend a brief period of time during fermentation in contact with their grapes' dark skins. This period may be as brief as several minutes to as long as 8 hours. During this time (known as maceration) the skins impart their pigments and other compounds to the nascent wine, giving it a color anywhere from blush to salmon to ruby red. Pink wine may be found in almost any region where red wine is made, representing a light and refreshing counterpoint to its darker and more esteemed cousin. In northern Italy, dark, dense, almost tannic rosatos are the summer quaff of the Piedmontese. 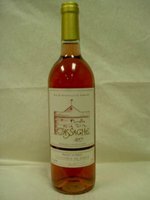 In southeast France, rose may take on an orange hue and have a refreshingly salty edge, making it perfect with the area's famous shellfish. In California intensely fruity, magenta colored, high alcohol pinks are the norm, but by no means the rule. 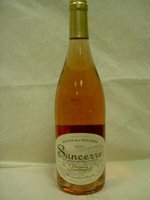 Made in the Loire region from Cabernet Franc, this light orangish-pink wine is bracingly acidic with a lightly fragrant nose of red berries. Though an ideal back porch quaffer, the bright acidity and light red fruit make this wine a great pair with foods heavy on the cheese and oil — consider this and others of its like next time Mexican food is on the menu. Fresh from the southern Rhone valley and brought to you by local importer Robert Kacher, this wine is a perennial favorite of mine. Blended of the traditional varietals Grenache, Syrah, Cinsault and Mourvedre, this deep pink wine explodes from the glass with strawberry and herbs, giving way to a forceful and darker-fruited palate and a slightly chalky/earthy finish. This wine has the heft to make it a great barbecue pink. Next time you are grilling burgers and not relishing the idea of drinking red wine in the springtime heat, give this one a go. This bright coral colored pink from Calabria (the "toe" of Italy's "boot") is made from 100% Gaglioppo, a grape not easily found outside the region. Tangy cherry and pepper on the nose give way to bright red fruit, vanilla, and an almost effervescent tingle on the palate. This unique texture and flavor profile make this wine a wonderful match with salty cured meats like prosciutto and salami. While I am not typically a fan of this winery's ubiquitous Rioja rojo, the rosado this year left me very impressed. Made from the traditional Rioja varietals Tempranillo and Garnacha, this strawberry colored wine has a bright, fruit driven nose of raspberries and flowers, with more pure raspberry on the palate. What I love about this wine is the balance — plenty of fruit throughout, but with enough acidity to keep it from coming off sweet. This is the quintessential wine to pair with a traditional paella, particularly if smoked meats are involved — bright, fruity and cold, this is the perfect foil to saffron and sausage. 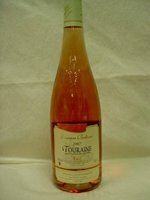 From an appellation renowned for its whites comes this very elegant 100% Pinot Noir rose. Typically light in color for a pink Pinot, this wine is very subtle on the nose, giving up notes of rose, currants, and a hint of mineral, leading up to a very dry palate of berries and straw with a lengthy, tart finish. This understated example of the type is a great match with anything from white fish in a light cream sauce to Chicken Francaise. 1) Go dark! The darker the wine, the more well it has likely held up over the winter months. Avoid the pale stuff and seek out the practically red. 2) Caveat Emptor! If the wine's price seems just too low, it has probably already turned. If you buy a pink wine for $3 a bottle, expect it to be all but vinegar. 3) Get that sucker cold! Even if your discount pink wine is a little tired, if served ice cold it may still make a great evening refresher. 4) Ask the employees! In a market as competitive as this, retailers can't afford to lie to their customers, and nor in most cases do they want to. Ask the salesman outright whether he thinks the wine is up to snuff: 90% of the time, he will be honest. 5) If its gone bad, bring it back! Most wine shops have a fair policy when it comes to returned bottles of bad wine, and will at least give you store credit for the faulty product. Don't abuse this policy and you will likely be given the benefit of the doubt. More on the pink stuff as the season progresses. In the meantime, if you have been a bit shy about pink wine in the past, I hope that this year you give the old boy a turn. If there is anyone out there with a favorite pink wine, new or old, I'd love to hear your thoughts.